The Federal Register published a notice of December 28 providing a brief overview on a behind closed doors Homeland Security Advisory Council (HSAC) meeting to be held at TSA headquarters in Arlington, Virginia, on January 9, 2012. The HSAC was created by executive order on March 19, 2002. The DHS Office of Counterterrorism will present a briefing on the Department’s implementation plan to counter domestic violent extremism. Providing this information to the public would provide terrorists with a road map regarding the Department’s plan to counter their actions, and thus, allow them to take different actions to avoid counterterrorism efforts. 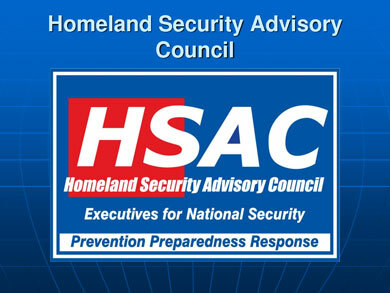 The HSAC meeting will be held on January 9, 2012, in Arlington, Virginia, from 8:50 a.m. to 3:30 p.m. EST, at the Transportation Security Administration, 601 South 12th Street, (East Building), Arlington, VA 22202.